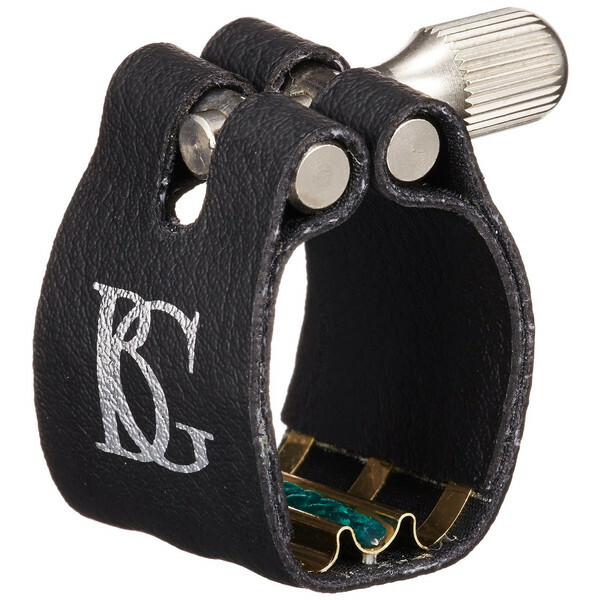 The BG Bb Clarinet Standard Ligature features a rubber supported fabric construction with a single crew design that increases stability. The specially treated materials ensure maximum durability whilst not compromising on sound quality. The Super Revelation ligature from BG is ideal for ensemble work, providing a large and clean sound that offers little resistance. The gold plate touch strip helps to provide easier and faster articulation. Complete with a protection cap, the BG Special Ligature is the ideal choice for beginner and professional players alike.